For more information contact n7ss@arrl.net. Click here to sign up. This course is offered Friday evening from 1900-2200 and Saturday from 0800-1700. Cost is $25 per student, which includes the workbook. For more information, contact n7hqr@oregonaces.org. Click here to sign up. For more information, contact kk7ds@oregonaces.org. Click here to sign up. The cost of the course is $25 per student, which includes the cost of the workbook. Students are expected to bring their handheld radio (and manual if desired) to each class. Lunch will not be provided, but there are many options in the immediate vicinity and we will take a break around noon. Emergency Volunteer Corps of Nehalem Bay recently sponsored an ACES class in Manzanita, Oregon. Emergency Volunteer Corps of Nehalem Bay was started as a Map Your Neighborhood effort and has grown into a many pronged organization that includes MYN (98 neighborhoods), CERT (57), Red Cross (45), Ham radio operators (43), 12 of which completed the ACES Basic Certification. EVC continues to be a model community program, recently installing their own amateur radio repeater and winlink node to provide service in their area. Working directly for Tillamook County Emergency Management, the EVC group continues to develop and train responding personnel and citizens in all aspects of emergency preparedness. The BASIC course included seven ACES instructors teaching different units with practical message passing, tactical nets, and a deployment exercise. Depoe Bay CERT and Lincoln County ACS sponsored an ACES BASIC class at the Gleneden Beach Depoe Bay Fire Hall. 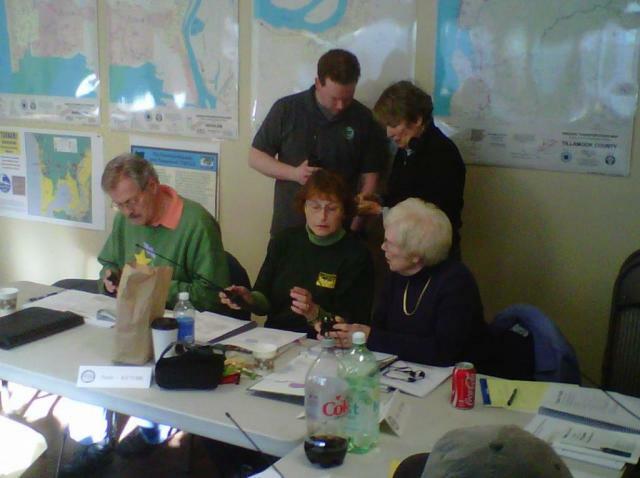 The class consisted of new North Lincoln and Depoe Bay CERT communicators as well as ACS/RACES communicators. Four ACES instructors participated in the presentation and fourteen people graduated from the program. Depoe Bay CERT has been very proactive in encouraging their members to get amateur radio licenses. Student experience ranged from less than one year to well over 30 years, with the more experienced students pitching in to help the newer folks learn the techniques needed for emergency communications. 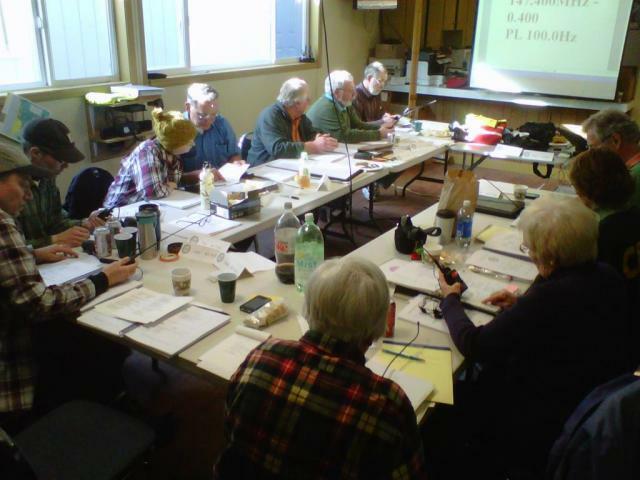 The winter 2011 offering of the ACES basic course was sponsored by the Hillsboro EOC amateur radio team. The typical Hillsboro and Beaverton students were joined by colleages from Multnomah County ARES and the City of Gresham. Skill levels ranged from "very experienced" to those that made their first amateur transmission as part of the course. Represented agencies included ARES/RACES units, city EOCs, and multiple CERT organizations in the metro area. Three of the lessons were taught by guest instructors, one of which being the City of Hillsboro Emergency Manager. The Federal Way ARC board has decided to sponsor an ACES Basic Course in February 2011. Dan Camp has arranged a room at Marcus Whitman Presbyterian Church, 2130 S 248th, Des Moines, WA 98001. The cost is $25 and there is a limit of 40 students. Click here to register. This course will be held two days of two consecutive weekends: Friday night, February 11th 7 PM to 10 PM, Saturday, February 12th 8:30 AM to 5 PM, and Friday night February 18th, 7 PM to 10 PM and Saturday February 19th 8:30 AM to 5 PM. Contact Daron N7HQR for details. Click here to register. 16-January 2011 Update: The maximum number of students have enrolled in this course. Please watch for the next offering in your area. This instance of the ACES Basic Course will be conducted across three sequential Saturdays, approximately eight hours per day. The location is near several food options for lunch. The cost of the course is $25 to pay for instructional materials and the student manual. Course signup is required and the maximum number of students is 15. 1-Dec-2010 Update: The maximum number of students have enrolled in this course. Please watch for the next offering in your area.